23 great childrens songs from Paul Field including the popular Wiggly Waggly Song and other fantastic songs. The CD features 23 great songs from Paul Field written for Children to sing-a-long to. Bonus CD-ROM features a bonus digital songbook with the songs as PDF's and printable as well as the ability to change the key using Power Music software which is included for FREE. 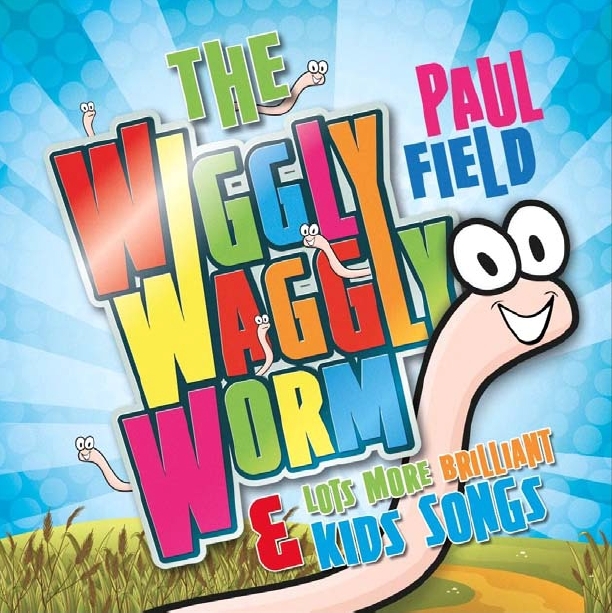 The Wiggly Waggly Worm CD by Paul Field was published by Elevation in July 2013 and is our 14041st best seller. The ISBN for The Wiggly Waggly Worm CD is ELE1955D. Be the first to review The Wiggly Waggly Worm CD! Got a question? No problem! Just click here to ask us about The Wiggly Waggly Worm CD. Paul Field has been working as a professional composer, producer and musician for 30 years. He has received an Ivor Novello Award from the British Academy of Songwriters & Composers and a Dove Award (and two nominations) from GMA in Nashville. His songs have been recorded by many artists around the world and his production and arrangement credits range from Country and Gospel through Classical to Rock & Pop. He's also written music for TV, Film, Theatre and Advertising. Now Playing: All Day Long Your browser does not support the audio element.